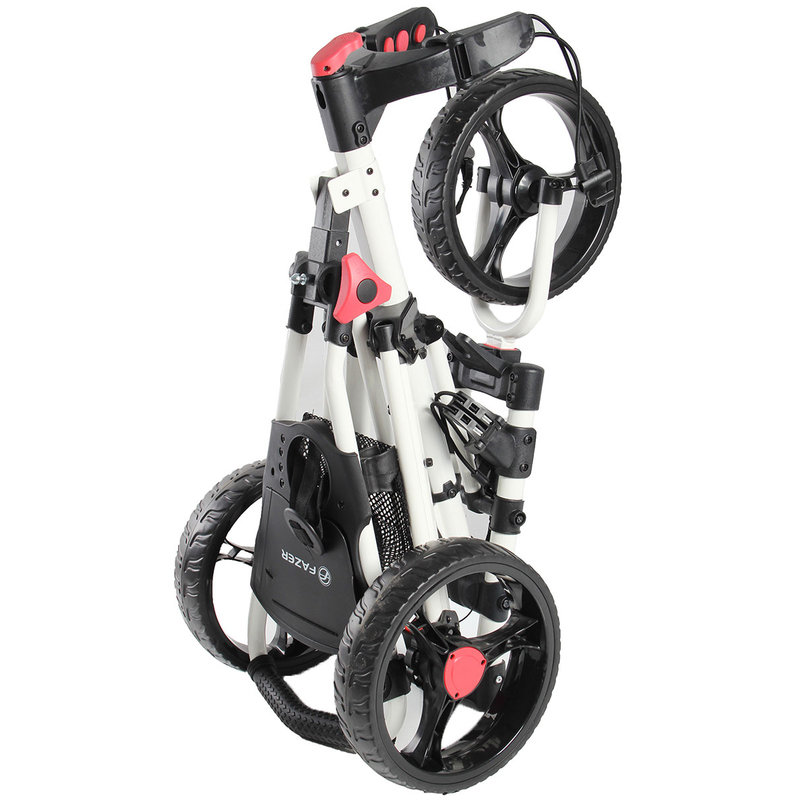 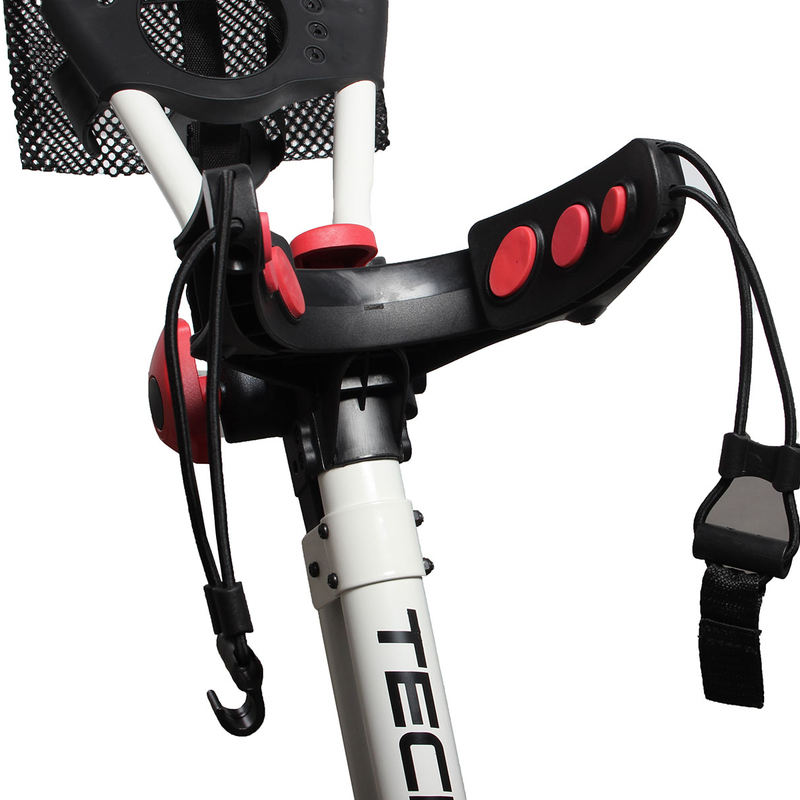 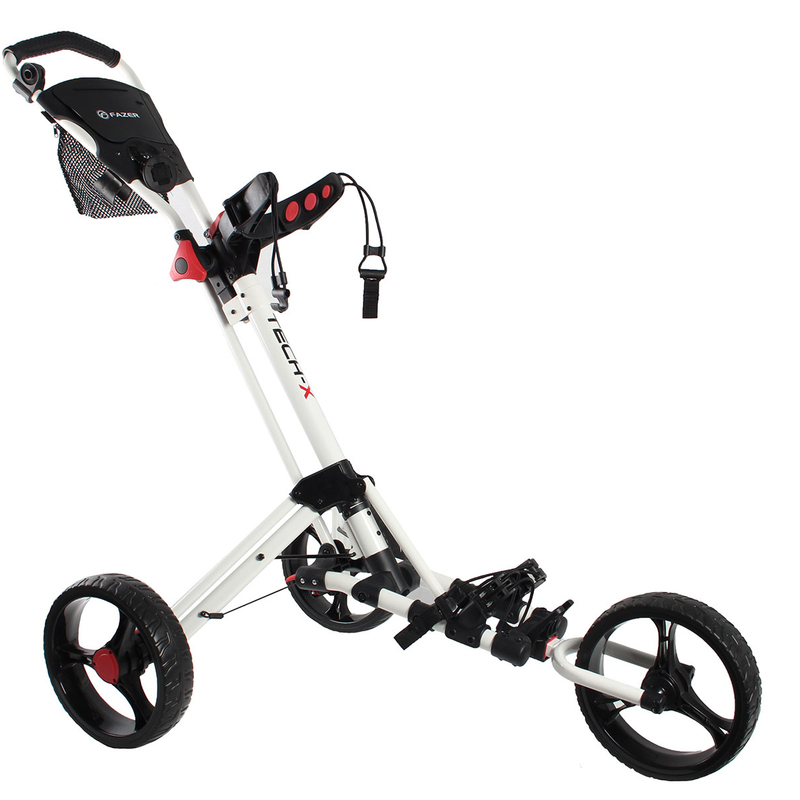 The Tech-X high performance golf trolley is a strong and robust solution, and has a simple One Fold Mechanism to make life a little easier during your round of golf. 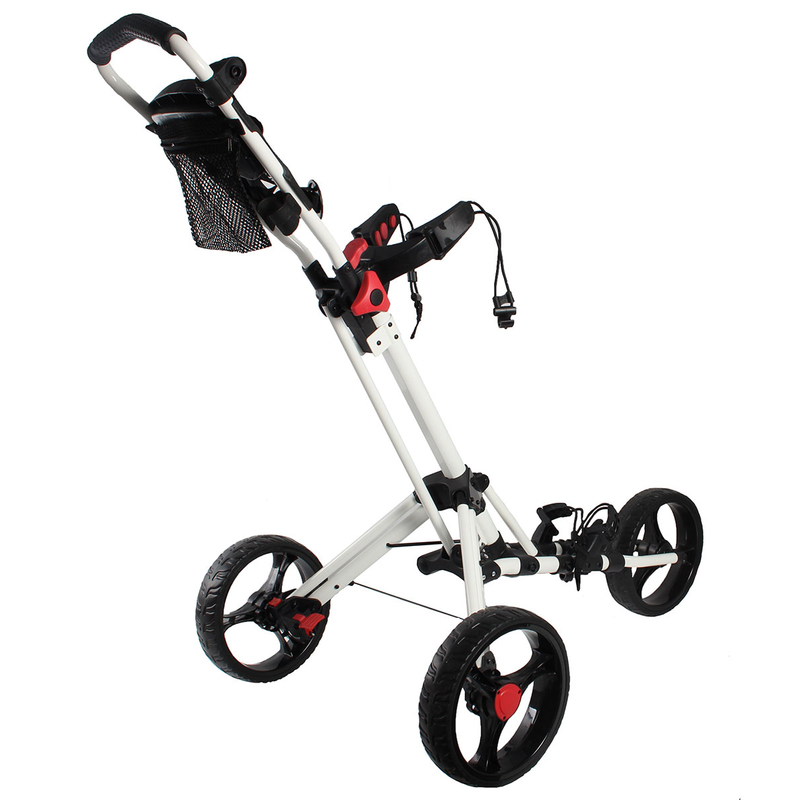 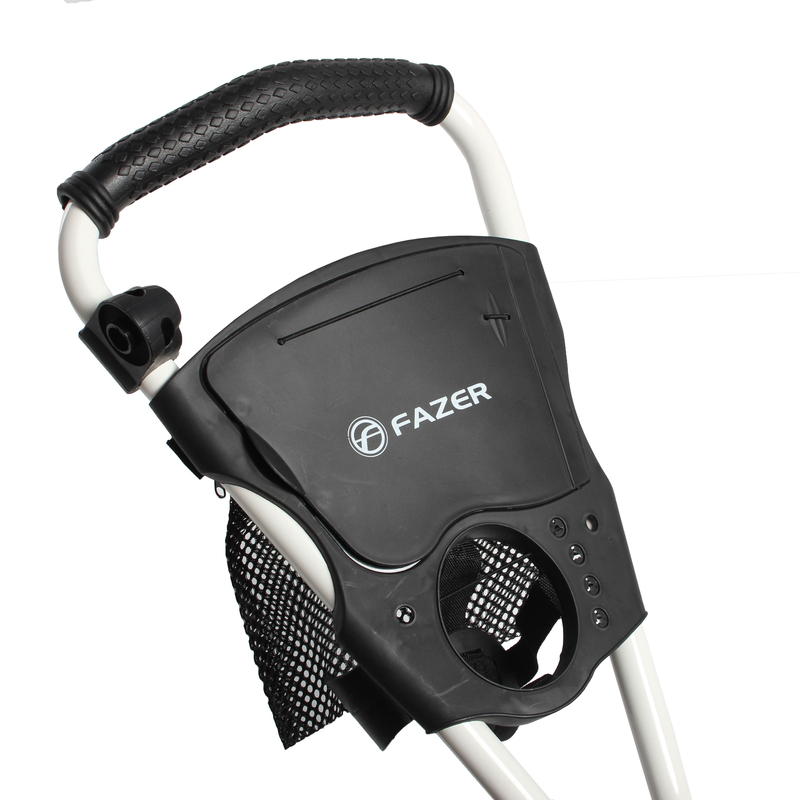 This trolley has a fantastic combination of innovative features to assist you, which include an accessory tray with magnetic closure, tee and ball holders, mesh accessory pocket, bottle and umbrella holder attachment. 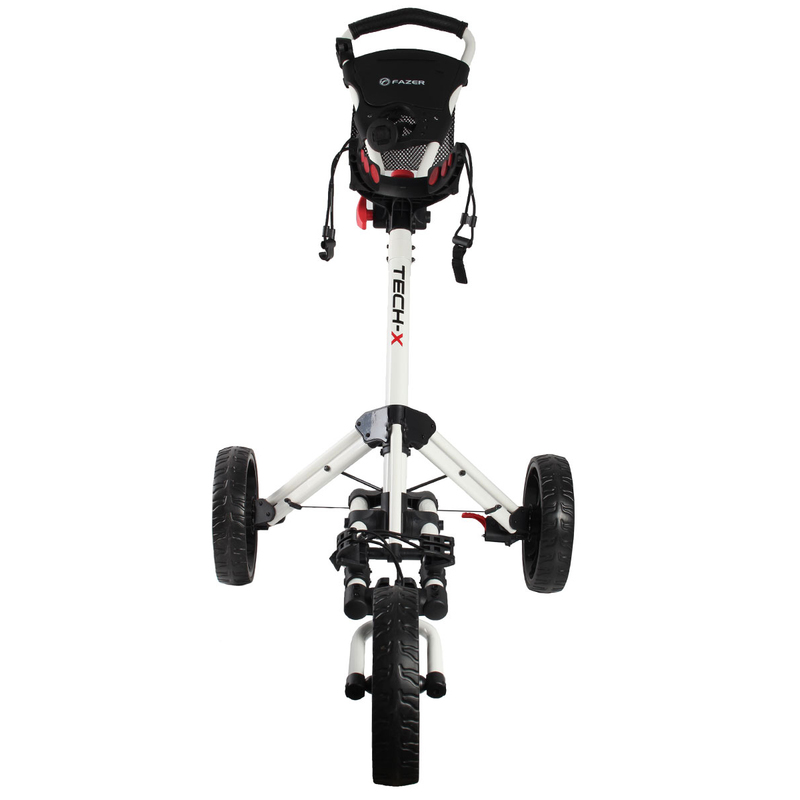 For a more personal touch, the trolley has an adjustable positional rubber grip handle and has a rear foot brake to stop your equipment from rolling away on steep slopes. 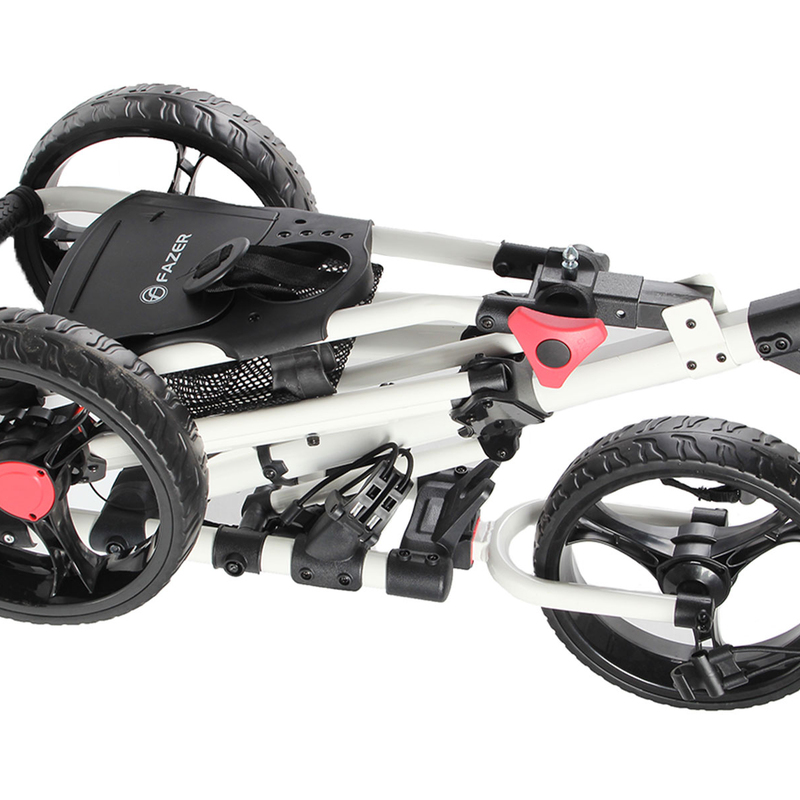 This compact trolley has 3 removable sports wheels which be removed for even more space savings.